Magpie and Button: Blog Giveaway!!! Well, I've been very busy lately with Magpie and Button, and have had lots of sales, orders and general good karma coming my way. 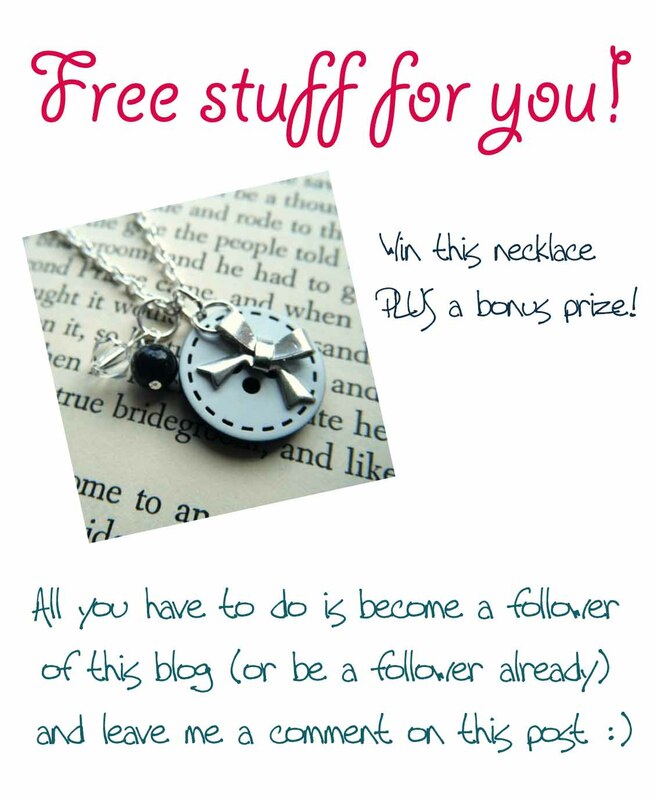 I think it's time to share the love ♥ so I'm giving away this gorgeous necklace to one of YOU! Yay!!! Within a week I'll enter everyone who has commented into a draw and pull out the lucky winner of the Sew Cute Button Necklace, worth over $20! Oh, and there's also a mystery prize included with the necklace - an EXTRA BONUS for you! So, do you want free stuff? Hey beth, you are doing an awesome job. 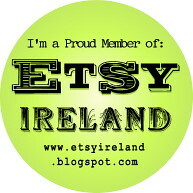 i loe just checking in to see how you & your fab buttons are doing. Love seeing the wonderfull creations you make. Oh how lovely, I'm a follower of you lovely blog already! ohhh, i want i want! Blog follower! What a lovely necklace, I would la la LOVE to win! ME ME ME! i'd really like it!!!!! New follower. Lovely blog you have here and a lovely giveaway prize too. I'm following & I'll tweet later :) I love those one button necklaces. I'd love to win. Please count me in thanks. u have been very busy! on the last day of my jaunt to the other side of the world, japan australia and thailand,have just bought some nice mille fiori glass bead bracelets from a girl who makes them on the beach here in koh samed island, must show ur stuff to my mum! Ooh exciting! The necklace is fab.. I want!